Huntingdon is in the west of the map, showing from Euston Street westwards, including the Isolation Hospital, Cemetery &Newtown. In the southwest corner is Godmanchester Station. 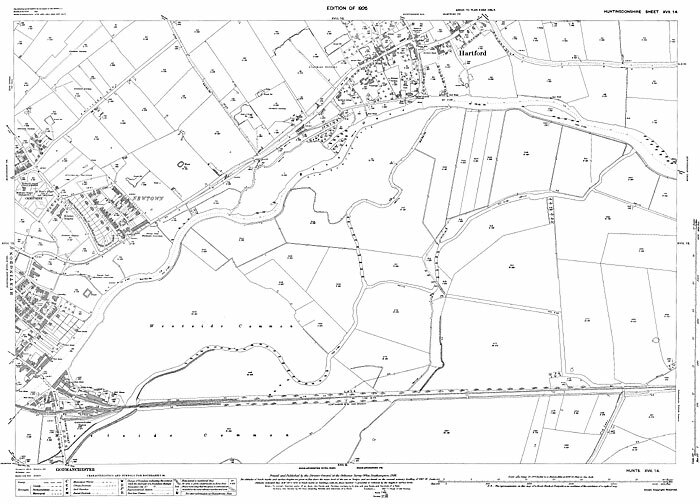 Hartford is on the northern border of the map, showing from the BaptistChurch next to the Barleymow pub southwards.